The Maya civilization is well known for its calendar, mathematical and astronomical systems, as well as for art, architecture, and written language. Many of the Mayan cities reached their high point of development during the Classic period, between 250 – 900 AD. Central America has a number of archaeological sites where amazing Mayan ruins can be observed and experienced. Here we’ll take a look at many of the most important and best places to visit for seeing the ruins. One of the most popular an most impressive places to see Mayan ruins, Chichen Itza is located between Cancun and Merida. The site includes several impressive structures that were built around 500 AD. 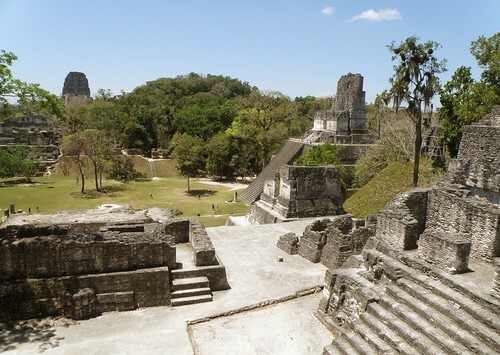 Palenque is located in southern Mexico, about 80 miles south Ciudad del Carmen. It’s a medium-sized site but it includes some of the most impressive Mayan architecture and sculptures. It’s estimated that more than 1,000 structures are still covered by the jungle waiting to be excavated. The ruins here date back to 100 BC. Uxmal is located on the Yucatan Peninsula about 50 miles south of Merida and is a popular tourist destination because of its pyramids. Uxmal is one of the best preserved Mayan sites, partly due to the high quality of the structures. It is believed that Uxmal was inhabited as early as 800 BC, and the city later became a powerful political center. Because it is so well preserved Uxmal is one of the best places to get an idea of how the city was laid out and how its people lived. Tulum served as a port city located on the Yucatan Peninsula. The location right on the Caribbean provides amazing views of beautiful blue water. You can explore the ruins and take the steps down to the beach and enjoy the Caribbean. Tulum is popular with tourists in part because of its location. It’s accessible to the many tourists that visit the Yucatan Peninsula, and many cruise ships offer excursions from ports like Cozumel. Bonampak is located is the Mexican state of Chiapas, in the Lacanja River Valley. The reason for Bonampak’s significance is that it features the best surviving frescoes, wall paintings and murals of the Mayan civilization. The information gathered from the murals has helped historians to learn a great deal about Mayan civilization and culture. It was last inhabited in the 8th century AD and laid undiscovered to non-Mayans in the jungle until 1946. Yaxchilan is located in the Mexican state of Chiapas on the bank of the Usumacinta River. It was at one time a large center and a dominant power in its area. Yaxchilan is known for temple facades with elaborate stone mosaics. It is accessible by boat down the Rio Usumacinta. Edzna is located in Campeche. It was established somewhere between 600 and 300 BC as a small agricultural community. The most impressive structure in Edzna is the main temple, which was built on a platform some 40 meters high. It reached its prime between 600 – 900 AD and was abandoned by 1500 AD. Kabah is located in the southeast of the state of Yucatan, to the south of Uxmal and about 80 miles south of Merida. It is connected to Kabah by an 11 mile long pedestrian causeway. Kabah was occupied by the 3rd century BC, with most of the visible architecture being built between 600 – 1000 AD. It’s most famous structure is the Palace of the Masks, which features a façade decorated with hundreds of stone masks of the long-nosed rain god Chaac. Ek Balam is also located in Yucatan, about 20 miles north of Valladolid. Its largest structure, known as The Acropolis, features a 5 meter tall jaguar’s mouth with winged Mayan warriors. From the top of The Acropolis you can see Chichen Itza. Ek Balam dates back to 400 BC with its prime coming in 600 – 900 BC. Labná is located in the Puuc Hills of Yucatan, to the south of Uxmal. It’s a relatively small site and its most notable structure is El Palacio, which is one of the longest contiguous structures in the Puuc region at almost 400 feet in length. The arch at Labná is also a well-known structure. Calakmul is located in Mexican state of Campeche, deep in the jungles of the greater Petén Basin region and 22 miles from the border of Guatemala. It was an extremely powerful city some 1500 years ago. It features two ornate pyramids that stand 14 stories high, and more than 6,000 structures have been discovered. Calakmul is one of the largest known Mayan sites at over 70 square kilometers and up to 50,000 inhabitants. It was discovered by air in 1931. Chicanná is located in Campeche 2 miles west of Becan. It was inhabited from 300 – 1100 AD. The site includes small, elaborate structures that indicate it was home to the region’s elite. Sayil is located in Yucatan, south of Uxmal. It was first inhabited around 800 AD and flourished briefly before being abandoned in 1000 AD. About 80 miles west of Belize City, Xunantunich features a 135-foot tall temple known as El Castillo. The site can be reached by crossing the Macal River by ferry. The name Xunantunich means “stone woman”, which refers to the ghost of a woman who is claimed by many to have been seen climbing the stairs and disappearing into the stone wall. Most of the structures here date to 200 – 900 AD. Lamanai may have been occupied as early as 1500 BC, all the way up to the 17th Century. It is located in the north of Belize. Most of the site remained unexcavated until the mid-1970s. Lamanai is excessible Orange Walk Town along the New River. The largest Maya archaeological site in Belize, Caracol is located in the Cayo District of Belize. It was occupied as early as 1200 BC. It’s located about 25 miles south of Xunantunich. In its prime Caracol covered an area much larger than present day Belize City and also had a larger population. Caracol features Caana, a 140-foot high platform, the tallest man-made structure in Belize. Altun Ha is located in the Belize District, about 30 miles north of Belize City and about 6 miles inland from the Caribbean. Altun Ha features The Temple of the Masonry Altars, the largest of Altun Ha’s temple pyramids at 54 feet high. The site covers about 5 square miles with the center square mile including remains of around 500 structures.The site was occupied as early as 200 BC with most of the construction done between 200 – 900 AD. 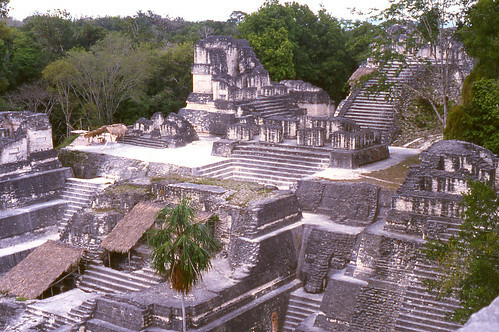 The archaeological site of Tikal is part of the Tikal National park in northern Guatemala. It was occupied as far back as the fourth century BC with it’s prime years between 200 – 900 AD. 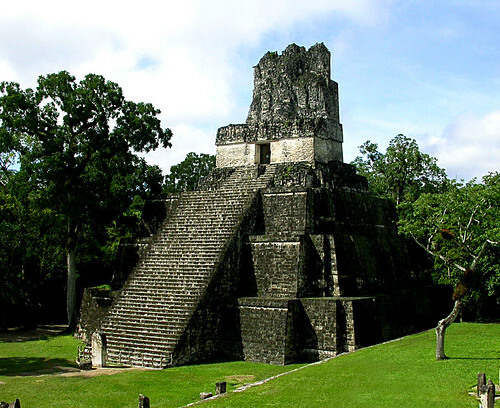 At that time Tikal dominated much of the Maya region politically, economically, and militarily. Now it is one of the most excavated and restored Mayan sites, and has some of the tallest, steepest Mayan temples.